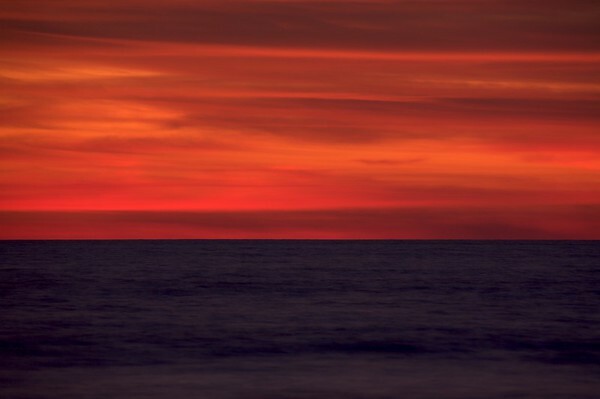 The distinct colors and seperation of the ocean and sky give an abstract perspective of the sunset. My fav color! ;) sky is the limit!